Winter has finally arrived in the City of Champion. It’s really cold today. -30 with the windchill. Ugh. So I decided to stay home and do what any sensible person would do – Make homemade soup. From scratch. No I really mean from scratch, stock and everything! I had some leftover beef bones and steak that I decided to turn into a tasty beef stock for a homemade cream of mushroom soup. A very good way to spend a cold cold weekend. 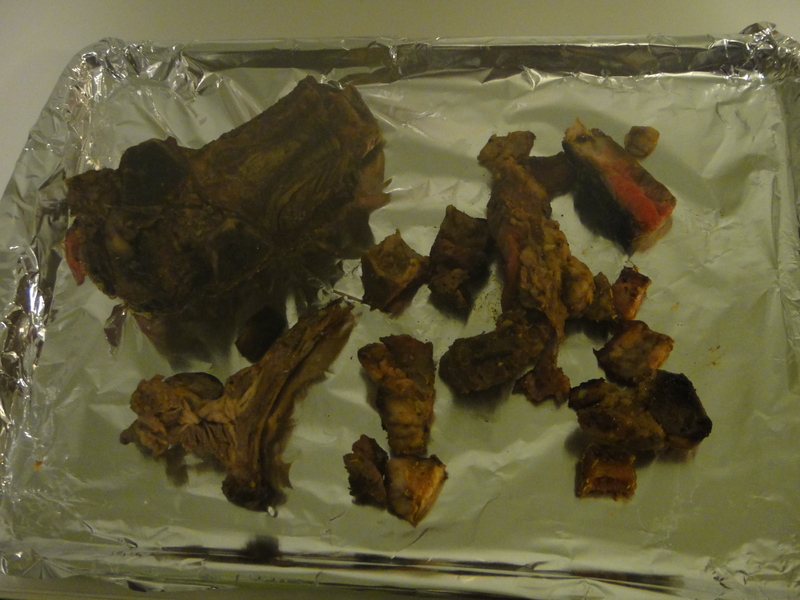 I roasted the beef bones and leftover steak bits in the oven at 375 with some onions for about an hour. Then I transferred the lot to a stock pot and let it simmer gently for about 3 and a half hours. I made sure to get all of the tasty little beef bits left behind! At the end of all the bubbly boiling, I skimmed off as much fat as I could, then put the pot in the fridge to cool. 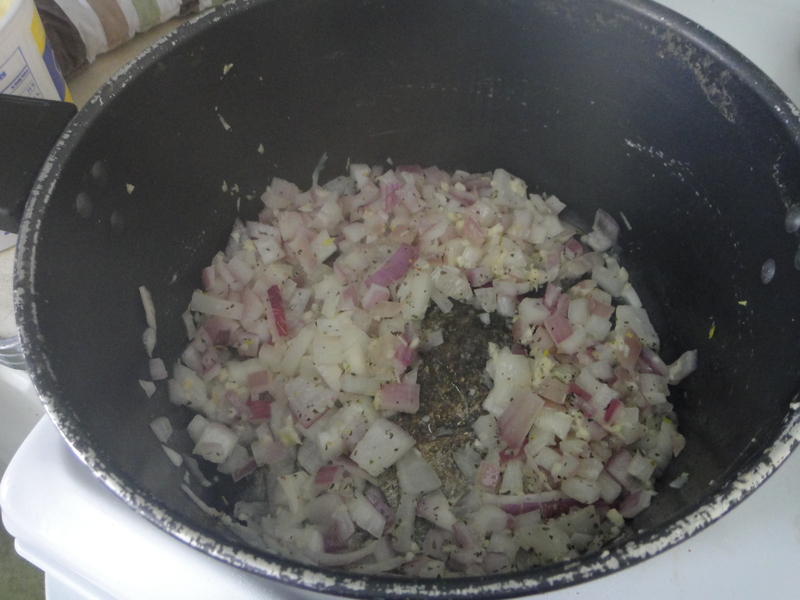 I cooked down the onions for a bit. 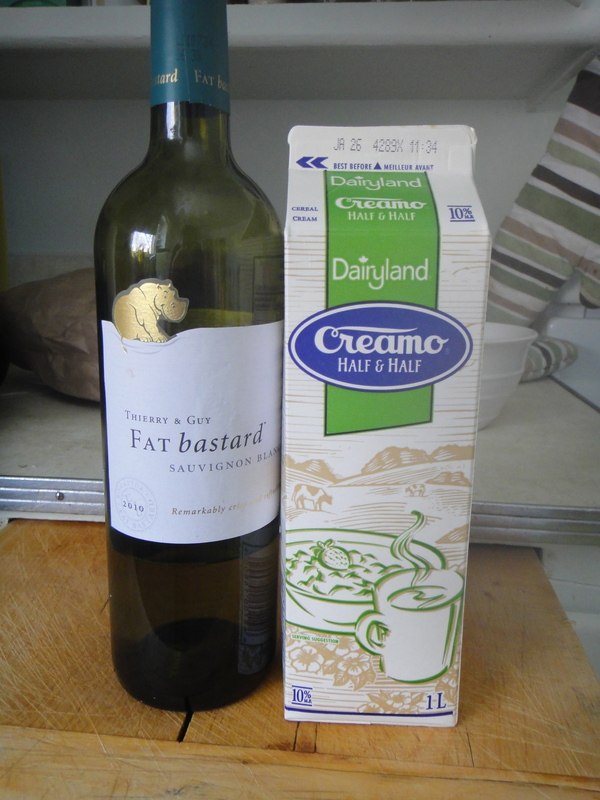 For the liquid, I used 2 cups of the tasty beef stock, added some dry white wine, and some half and half. There wasn’t much else to it! I thickened it up with some cornstarch. and served it up hot! 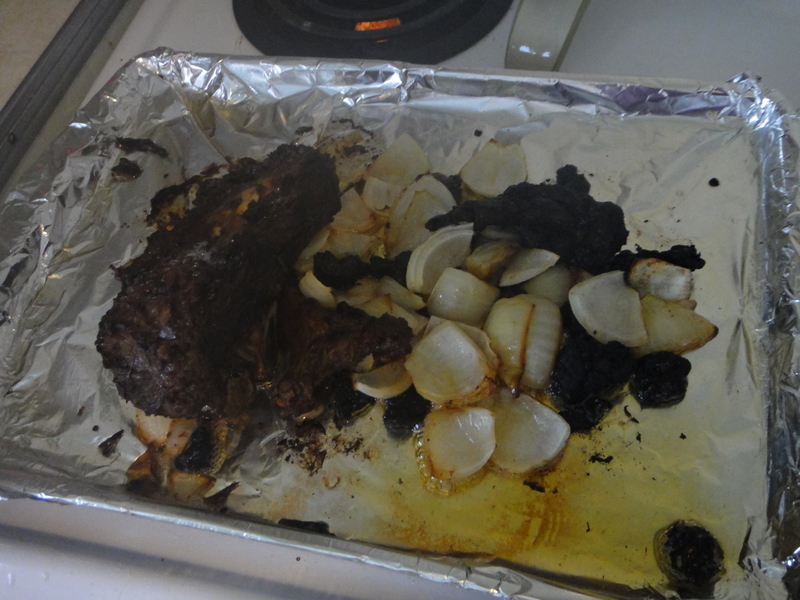 Roast Bones, scraps and onions in oven at 375 for 1 hour. 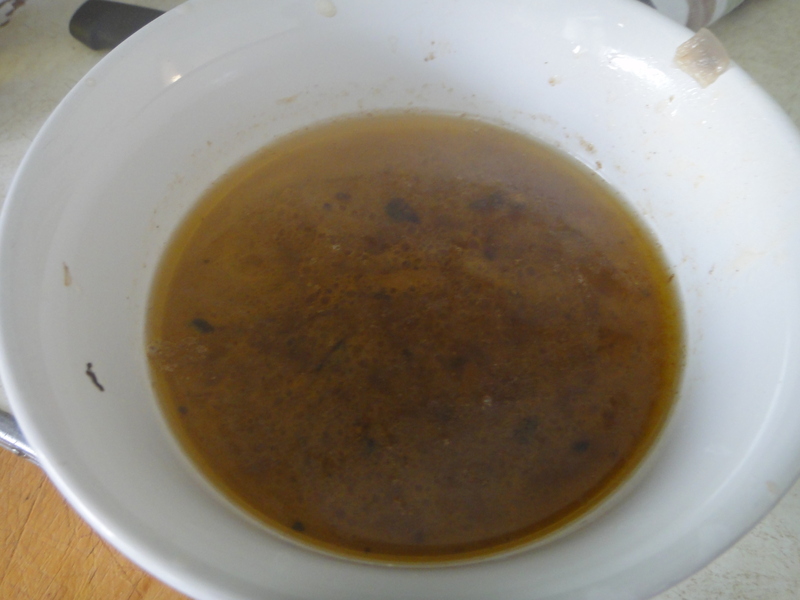 Transfer to a stock pot, making sure you get all of the little brown bits at the bottom of the pan. Cover all ingredients in pot by an inch or so of water. Simmer on low for 3-6 hours. Throughout, skim fat off surface of stock pot. 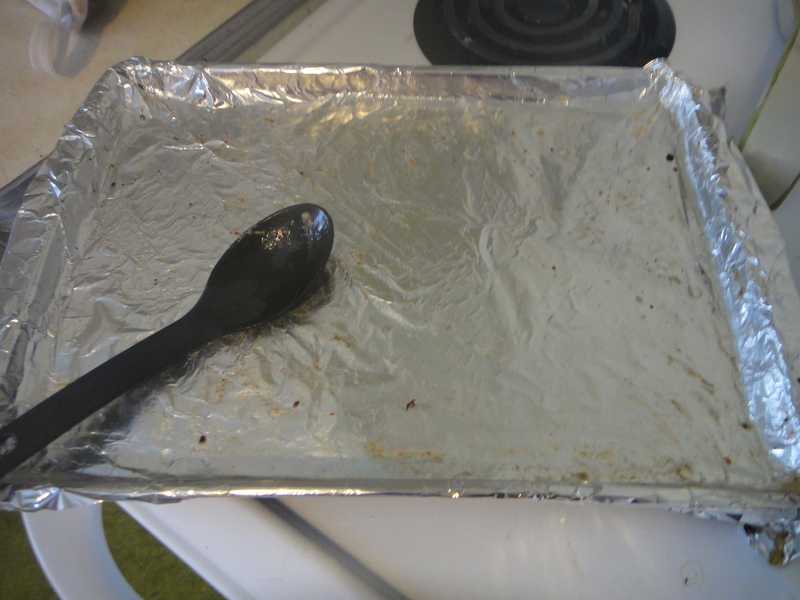 Do not stir, as this will make it more difficult to skim fat. 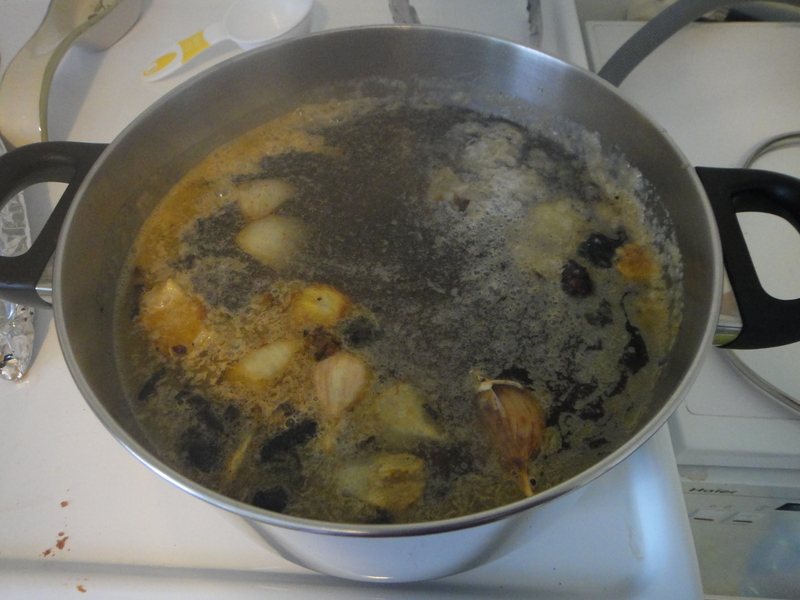 Once you are done boiling the stock, remove from burner and transfer to fridge to cool. Another layer of fat will form on the top of the stock. Remove that before freezing. Two cups of your beautiful homemade beef broth. 2 cups half and half. 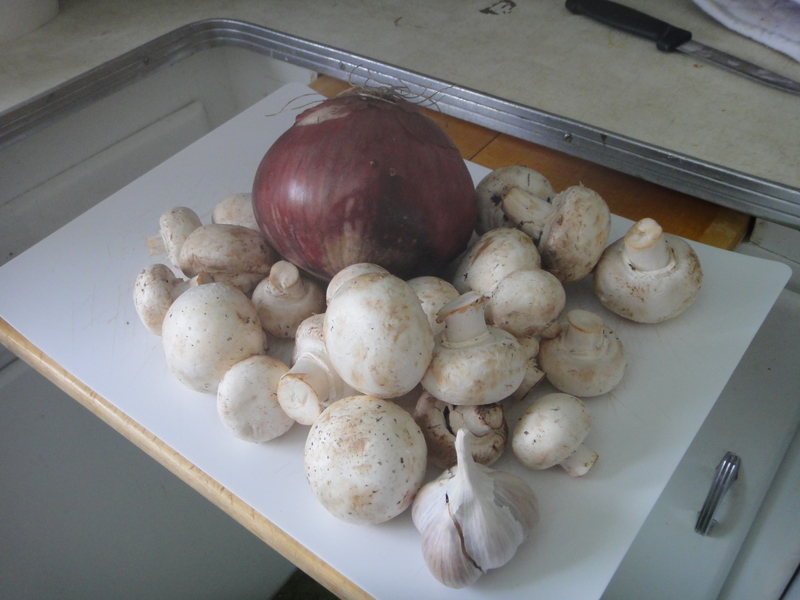 Dice onion, mushrooms and garlic. Cook with butter, oregano and Italian seasoning in a large pot. 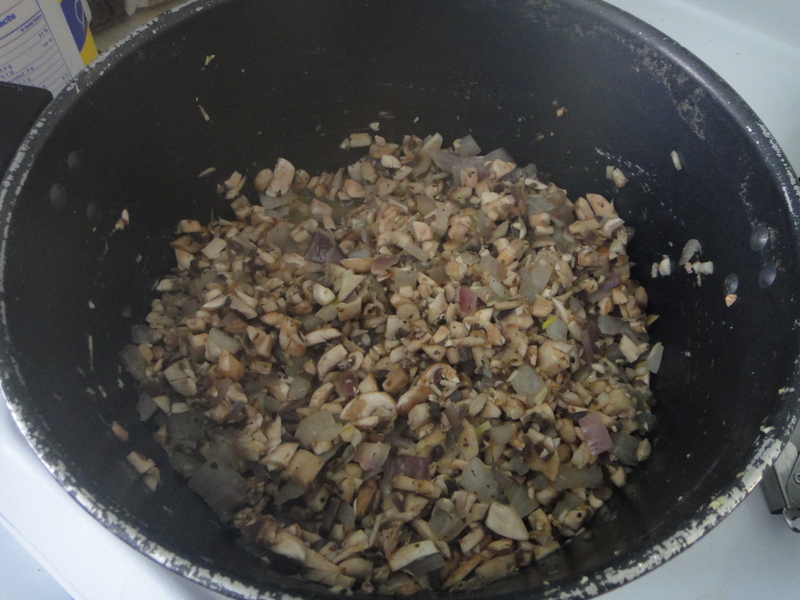 Once cooked down, add wine and broth and let simmer. Mix cornstarch with a small amount of warm water and add to the pot. Add half and half and bring back up to a simmer. Once thick, take off burner and let cool for a while. Serve hot, and enjoy! 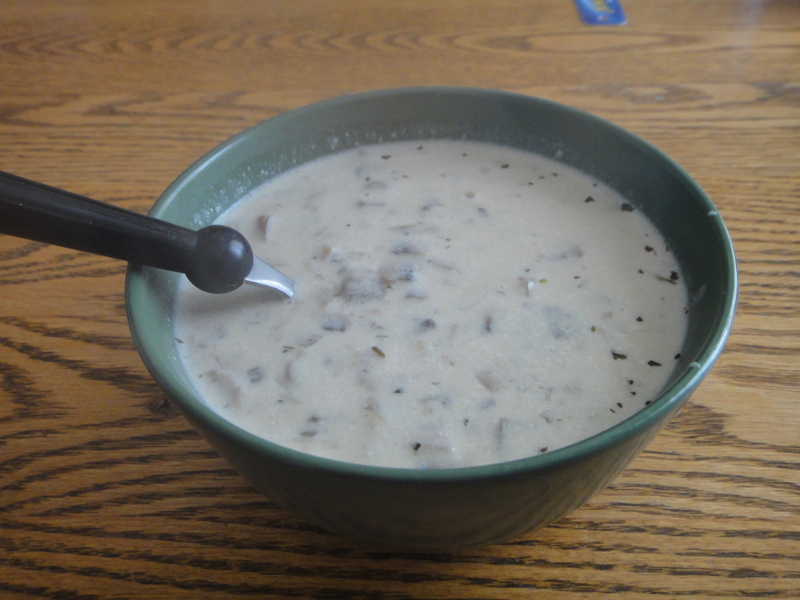 hmmm…..nothing like homemade soup on a cold alberta day! 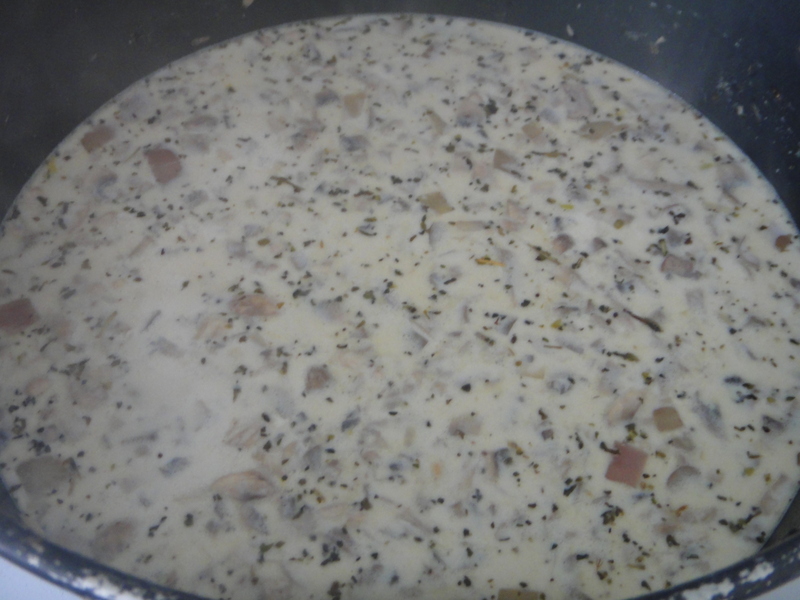 creamy mushroom is my absolute FAVORITE…..
i made creamy curry parsnip soup today….mine is vegetarian….made my stock this am with all the bits and pieces i found in the veggie bin…carrots/onions/leeks/garlic/mushrooms that looked way past their prime…. YUM! The broth looked deadly, too! 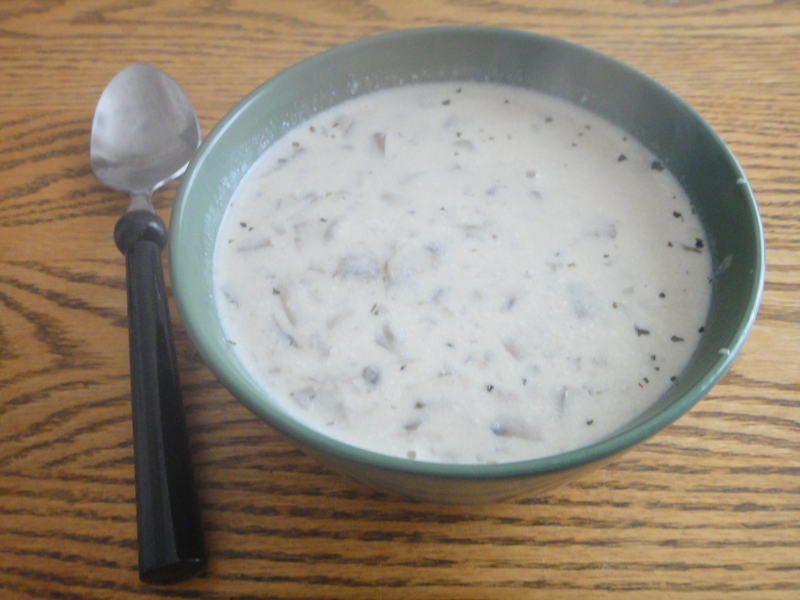 This was very good and easy to make cream of mushroom soup recipe. I decided to use a blend of freshly picked Morels and Oyster mushrooms, as well as Portabella and Shiitake mushrooms, just for variety.